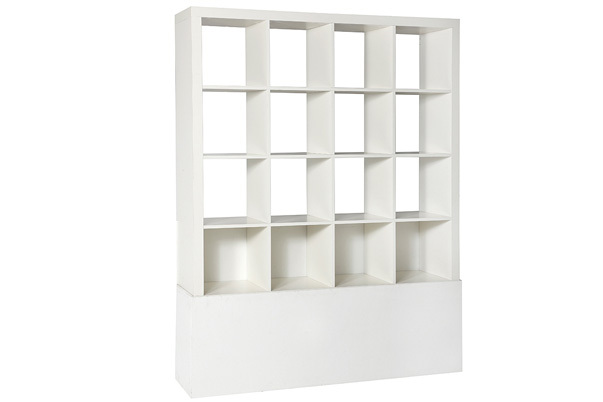 The Bookshelf is available in white and has 16 compartments. The bookshelf is available in white and in brown/black. The Bookshelf is also one of the components of the Shift Bar Grouping.